Hello, everyone! Join us for our monthly meeting on December 13th at the Ronald McDonald House Charities Community Room, from 6:00 to 8:30 pm. Sign in with Mitzi and the Membership Committee. 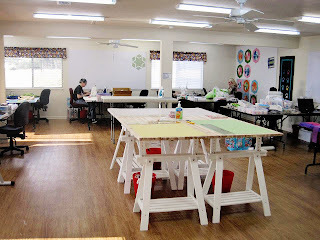 Please bring your Show and Tell items to the designated table, have them photographed, and tag them with your name. 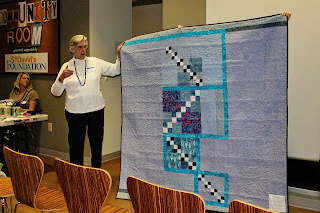 Bring a finished quilt or work in progress to share with the group. 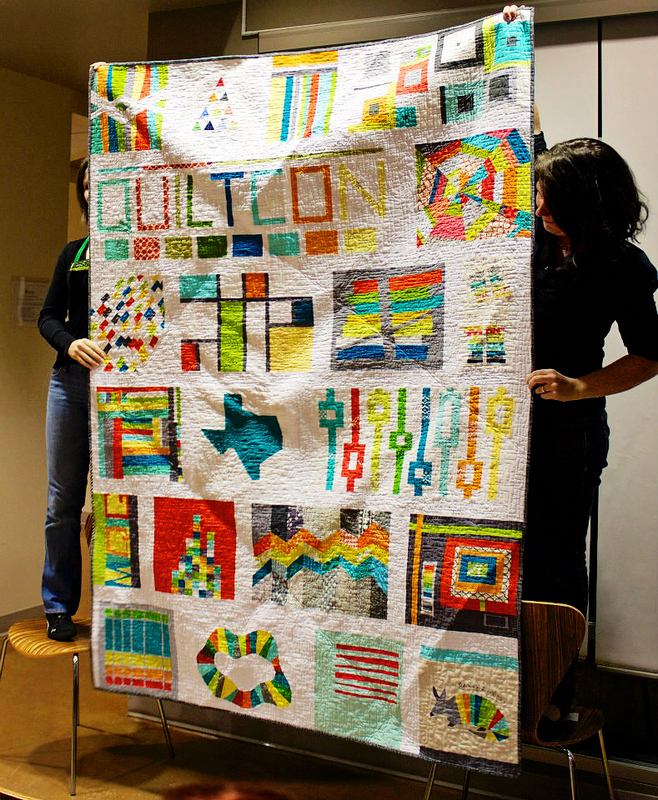 Show off your entries in the QuiltCon Show or your handmade gifts for the holidays! 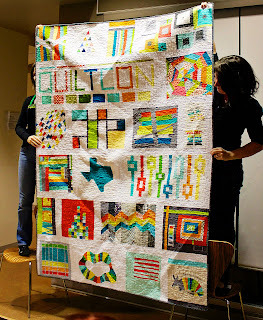 Our guild has received two packages of blocks from the International QuiltCon Challenge (Read all about this charity project here!) 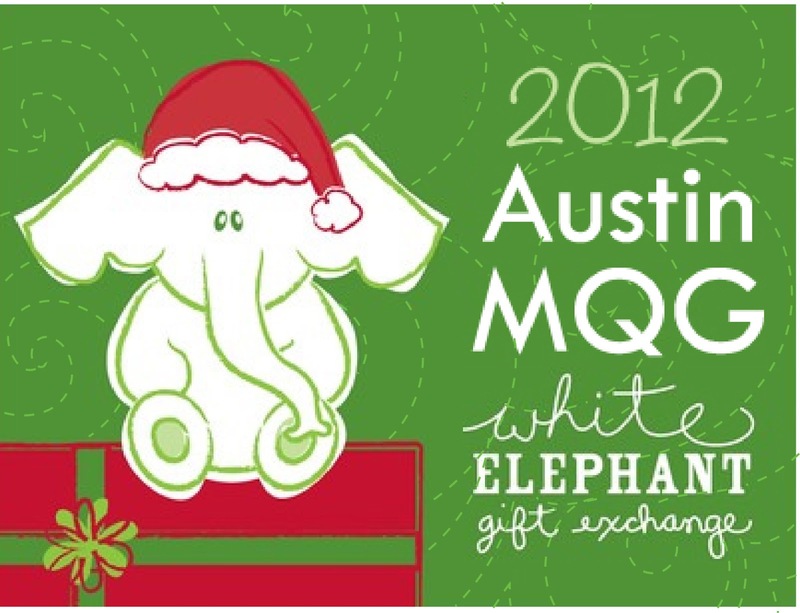 to expand into a 68″ X 88″ Twin bed quilt for the Austin Children's Shelter. 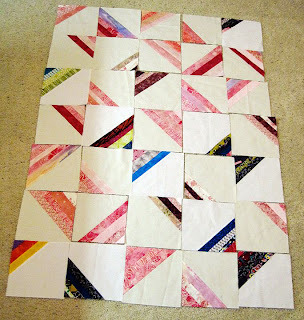 We can achieve this by adding blocks, adding negative space, or some combination of the two. During the meeting we'll discuss layout options for all of the blocks and sign up volunteers to participate in finishing them. They need to be machine quilted, bound, and washed in advance of QuiltCon next February. 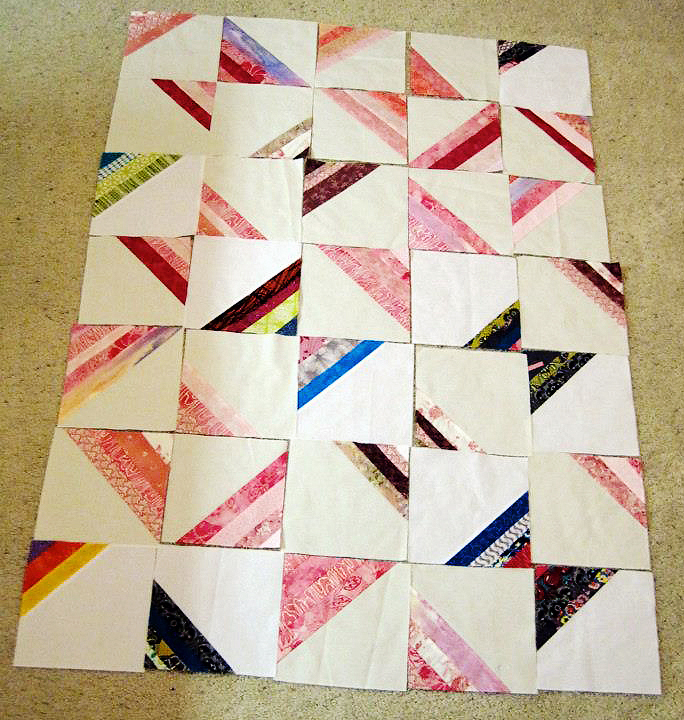 Members of the guild contributed blocks to this butterfly quilt, a tutorial for the block can be found at Fresh Lemons Quilts. We will be donating this quilt to Friends of Annie, a charity founded by Jessica Sloan of Remnants:fiber[culture]. We'll close out the meeting with a Door Prize drawing. The winner will receive two free nights at the March Retreat in Wimberley!!! As a reminder - food is welcomed at the Ronald McDonald House, but we cannot bring in alcohol. If you would like to bring a festive snack to share, please feel free to do so.